Discover how to use public relations to increase the visibility of your brand and drive views to your campaigns. Are you looking to expand your business’s reach and expose your brand to new people who are likely to be interested in what you have to offer? Welcome to the world of public relations. Commonly abbreviated to PR, public relations defines how a company communicates with people. It’s how brands manage the spread of their information, so it’s similar to branding. The only difference is it’s more focused on communication and reputation, rather than relying on visual elements (like logos). And yes, it’s about more than press releases! Read on to learn more about public relations, or click below to jump to a specific section. Guess what? Your PR strategy should be using all three. Defined as any content that your business controls, owned media is often the go-to strategy for businesses looking to build a PR campaign. Putting a bit of cash behind PR content is becoming increasingly popular. Since the majority of social platforms are reducing organic reach for business accounts, it’s a fantastic way to make sure your content gets in front of the people you want to see it. This is the type of PR strategy that comes through word of mouth. Defined as the tactic to boost conversation around your brand, there’s a chance that you’re already collecting earned media from your owned content. … it’s bound to make a great impression on your prospects! Although PR and marketing are very similar in their actions, they have different goals. The main goal of public relations is to boost the reputation of your brand. 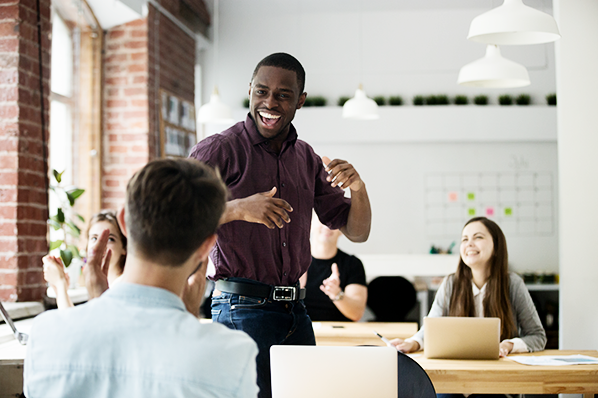 It doesn’t always have a impact on sales, and typically includes indirectly promoting your brand through activities like press release writing and speaking at industry events. On the other hand, the main goal of a marketing campaign is to drive sales. Instead of improving someone’s perception of your business, marketing strategies focus on driving revenue and boosting profits. Public relations and inbound marketing are closely related and using them together drives the best results. That’s because people don’t buy products, they buy brands. If someone is willing to buy your product (through marketing), it means they’re already connected with the brand (through PR). This explains why the average revenue increase attributed to consistently representing a brand is 23%. You could be seeing similar results by combining both strategies. Marketing and PR … they’re a perfect match! Inbound has been named the future of PR. It combines the biggest strength of PR (content) and inbound (measurement) so you can prove the ROI of your public relations strategy. Inbound PR works so well because you can see what’s working — and what isn’t. For example, if your business was struggling to collect backlinks from your coverage, the inbound PR approach allows you to identify this and tweak your strategy in the future. 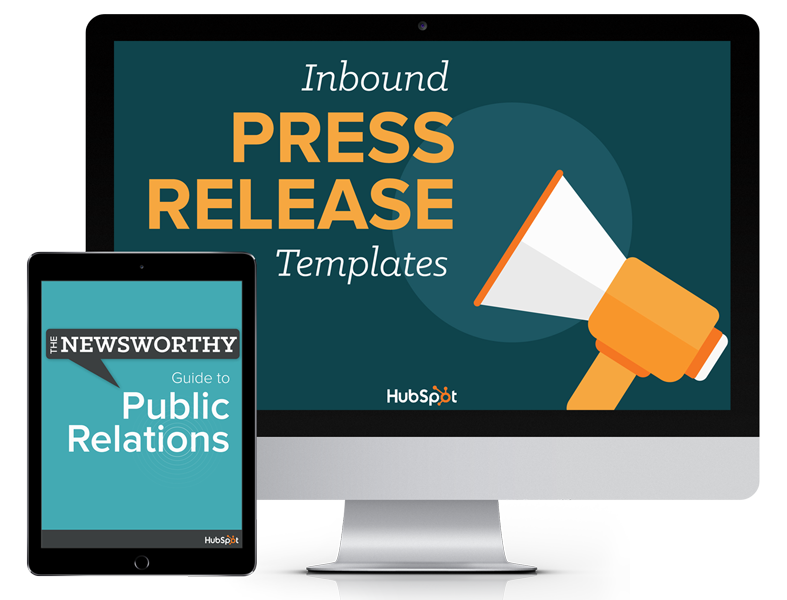 In short, inbound PR is a surefire way to build brand awareness, generate leads, and convert those leads through your public relations strategy. Don’t underestimate it! Thinking of becoming a PR manager? Writing press releases to announce company-related news. Creating fact sheets about the company to be sent to media teams to build their brand. Giving media training to both in-house and external teams. Finding and analyzing media coverage and promoting that content through owned and paid media channels. Attending industry events and representing the brand at trade shows, recruiting events, etc. Remember how we mentioned that public relations focuses on building your business’s reputation? PR managers will spend the majority of their time speaking about their company to do this. For that reason, excellent communication is a key skill that PR managers should have. It’s not just face-to-face communication skills that PR managers have; it’s also beneficial to communicate well in written form. Since PR managers will be responsible for writing press releases and company-related news, strong writing skills will help other people to understand the message you want to relay. This is especially useful for online PR where you’ll need to rely on blog posts, website content, and press releases to gain coverage! Just like in marketing, creativity goes a long way in the public relations world. Great PR managers are creative and know how to create a strategy that stands out from the crowd. Not only will this skill help PR managers in “boring” industries, but it’ll drive earned PR coverage if you can craft a unique spin on a story. Public relations is social, and people might be talking about your brand without mentioning you directly. Good research skills will help PR managers find and exploit these opportunities. PR managers will also need to do lots of research when planning their strategy. Because they might need additional information, statistics, and data points to boost the power of their owned media, strong research skills are essential. Goals help to measure the success of any PR campaign. Here’s a list of KPIs that you should keep in the back of your mind when determining the effectiveness of your PR strategy. Brand mentions are created when someone mentions your brand in their earned media coverage. They’re often built when news publications cover your story, without linking to your website. While these are great for building brand awareness, there’s just one issue with brand mentions: They can be difficult to track. Luckily, tools like Mention scan the internet for any reference of your business’s name. With online tools, you can discover how many people covered your PR campaign — and where. Generally, a high volume of brand mentions equals a successful strategy — more people are talking about you! However, it’s important to read each brand mention for context. Remember, we want people to be saying good things about our brand, and it’s not always easy to understand the value of coverage until you read the entire piece. Similar to brand mentions, backlinks help you to find where your PR story has been covered. The only difference? The sites who’ve mentioned your brand have linked to your website, making it easy for readers to clickthrough and visit your website. But, it’s not just new visitors that you’ll benefit from when collecting backlinks from PR coverage — you could see a rise in your SEO rankings, too. If people are hearing about your brand through earned media and heading to your site, it’s a sign of a successful PR campaign. Once your campaign goes live, track the number of visitors to your site or page. Check where they’ve come from (was it a particular piece of coverage?) and aim to replicate this in the future. Although the volume of new customers coming directly from your PR activity isn’t easy to measure, it’s worth investigating. Surveying customers after they purchase and asking where they heard of you. Using Google Analytics conversion paths to find their route to purchase. It goes without saying that a ton of new customers from your PR campaign is a great result. But, don’t feel disheartened if you don’t see an influx of conversion-ready site traffic. The goal of PR is to raise brand awareness, spread the ideas of your internal thought leaders, and communicate the ideas of your brand, and there’s nothing to say that your new site visitors won’t return and purchase in the future. Life is always easier with a bit of help, right? That’s no different in the world of PR. CoverageBook: Use this tool to find and collect any coverage of your PR content. It’s great for PR agencies who’re building coverage reports for their clients. Mention: Track who’s mentioned your brand in earned media coverage. Monitor Backlinks: Track who’s mentioned your brand in coverage and included a backlink to your site. Muck Rack: Collect details of media people who might be interested in covering your PR story. PR Fire: Take tedious PR tasks off your hands. Have your release distributed to journalists and receive a report of results. It’s fantastic for in-house teams who’re doing their own PR. Agility PR Solutions: Provides powerful yet easy-to-use media database, monitoring, and analytics solutions to help identify and connect with influencers, capture coverage, and measure impact. Are you ready to start turning the wheels on your new public relations strategy? Awesome! 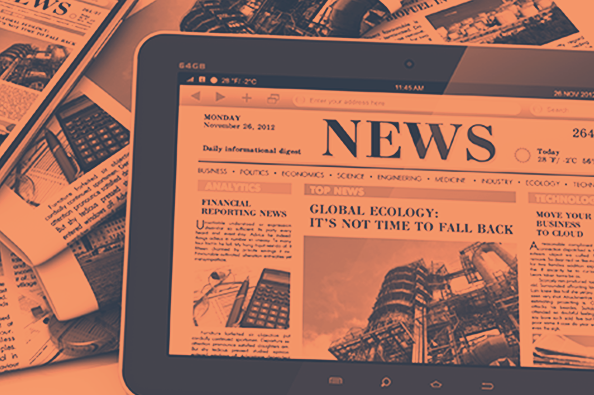 We can’t wait to read about your brand in the news. However, there’s one thing you should keep in mind: PR is an ongoing strategy and not a one-off task. Just like reputation building, it can take a while to see results. But with a solid strategy and a commitment to spreading the word about your company, you’ll soon see more mentions, backlinks, and general buzz. And that’s a great way to build a memorable brand.